Captivating dinner shows complete with live animals and incredible talent bring wholesome, family-friendly entertainment to the Charlotte area. The lights of Broadway are not just reserved for New York City. In fact, you may be surprised to learn that Fort Mill, South Carolina is home to the self-proclaimed “Broadway of Christian Entertainment,” NarroWay Productions. 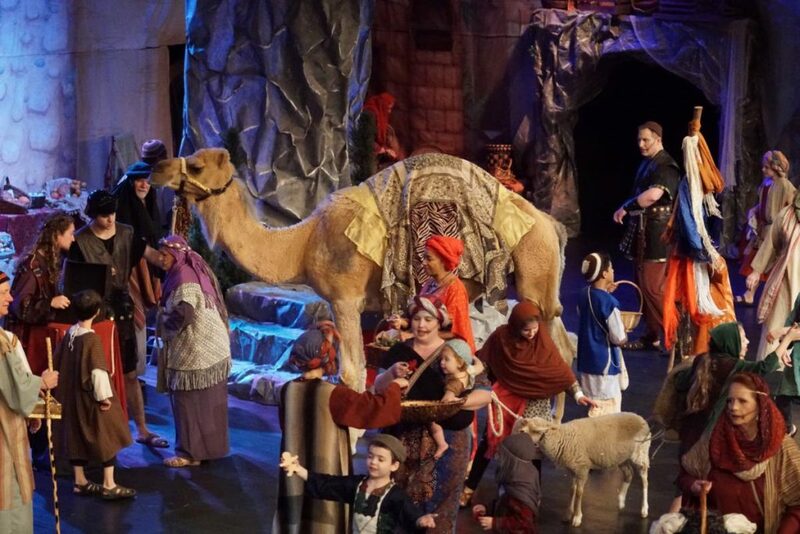 Just 30 minutes south of Charlotte, North Carolina, this Christian theater company recently celebrated its 20th anniversary of providing family-friendly, wholesome entertainment to visitors from all 50 states and many foreign countries. Today, over 400 performers work year-round on a repertoire of 30+ productions – from Broadway classics to spectacular holiday shows and children’s theater. But NarroWay provides more than just entertaining shows. Guests are served dinner themed to the production – and served directly by the NarroWay cast. It’s truly an experience that is sure to leave a memorable impression on visitors of all ages. Whether you hail from the South or are coming from farther afield, NarroWay offers a welcome dose of Southern hospitality. What better outing for your Bible study, youth group or church ensemble than to come together for an evening of fun, food, and entertainment at NarroWay. With shows for all ages and interests, you are sure to find something that will leave everyone talking about their NarroWay experience for years to come. The theater company welcomes groups of all sizes, and those of 15 or more are eligible for group rate pricing, with $2 off each ticket. For larger groups, it is advised to book as early in advance as possible to ensure you are provided with your first choice of show and seating options. In addition, tour operators may contact NarroWay directly for pricing that is not listed on the website. NarroWay staff look forward to helping you make the booking process simple so that you can get right in and enjoy the show. Consider planning a group trip in honor of a holiday, such as Christmas or Martin Luther King Jr. Day. NarroWay offers performances celebrating these and other holidays throughout the year. But holidays aren’t the only reason that groups love booking tickets at the theater. Year-round, engaging, energetic shows are available and captivate audiences with their charm, wholesome nature and devotion to the Christian faith. As one of the few Christian theater companies in the world, NarroWay offers a unique experience for all who enter into the performance space. Choose from a wide variety of shows, each with their own unique theme. Broadway-style musicals, shows in celebration of Christmas and Easter, Biblical productions of epic proportions, children’s theater and mystery theater shows are just a sampling of what is waiting for you at NarroWay. Did you know that some NarroWay shows even feature live animals? This is all part of the NarroWay experience – one filled with exceptional talent, captivating scripts, a delicious dinner and music that will leave you humming the tunes for days to come. Every weekend, dinner shows offer audiences a menu that is not just delicious but themed to the show they are enjoying. 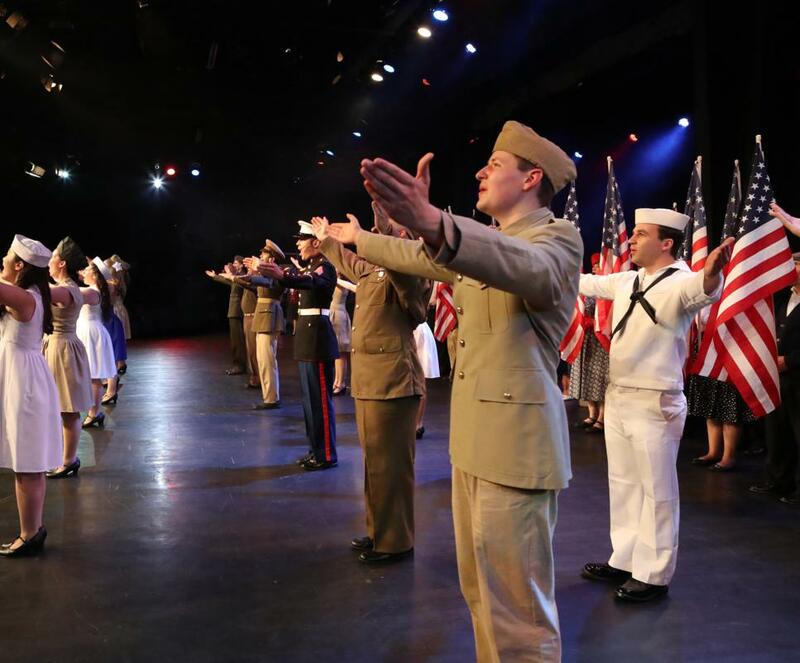 Now playing until February 24, Not Just Another Love Story remembers America’s greatest generation and the days of World War II with inspiring, patriotic tunes. Buttery mashed potatoes, fancy corn, chicken-fried chicken with gravy, buttermilk biscuits with honey, cherry pie and sweet ice tea are on the menu for this All-American dinner show. The Gospel According to Tennessee, starting in April, is based on a true family story from the 1920s. This fast-paced musical is a sing-along set to Southern classics where audience members can watch the gospel truths unfold right in front of their eyes while enjoying Southern favorites such as fried chicken, homemade mac and cheese, cornbread, pinto beans, country-style chow chow, blackberry cobbler and sweet ice tea. This is just a sampling of some of the dinner shows offered by NarroWay. Check out the Dinner Shows page of the website for information on schedules and shows that will commence later in the year. At NarroWay, you are never short on choices when it comes to wholesome, family-friendly, Christian entertainment. When it comes to experiencing the lights of Broadway, Fort Mill, South Carolina may have just what you’re looking for. Start planning your NarroWay visit today and see what awaits you at this nationally recognized Christian theater company.